Yacht Broker Dennis Rhodes : Atlantic Yacht & Ship, Inc. THE MARINE INDUSTRY IN SOUTH FLORIDA. Dennis has been a lifetime boater having been introduced to lake boating in infancy. His family placed a boat in Florida in 1958—followed by a move to Broward County in 1963. After completing two years of college; he completed his military service in Submarines. He joined his family’s boatyard business in early 1969; and there learning all aspects of yacht maintenance, fabrication and repair. 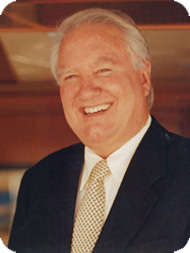 He expanded the family business to include sales in 1981 by opening Rhodes Yacht Brokers, Inc. In 1987 Dennis became one of the founding fathers of the Florida Yacht Brokers Association. This association has brought a higher set of professional standards to the yacht brokerage community. Dennis remained on the Board of Directors until 1991. In 2000 Dennis came to HMY Yacht Sales in Dania Beach where he served until 2009. In 2009 Dennis joined Atlantic Yacht and Ship, Inc in Dania Beach, Florida. 2015 marks his 46th year dedicated to ethical service, before, during and after the sale! Dennis is a current holder of a 100-ton Masters Certificate. He looks forward to EARNING your business!